Some say good old Ian, while others tell the truth !!! His greatest achievement as an MP may be as a historical parliamentary first. In years to come a classic pub quiz question may be to the name the first MP to be unseated by a recall petition for serious misconduct. Because only about 30% of the constituents are Catholic, which is one reason why it's the DUP's safest seat. 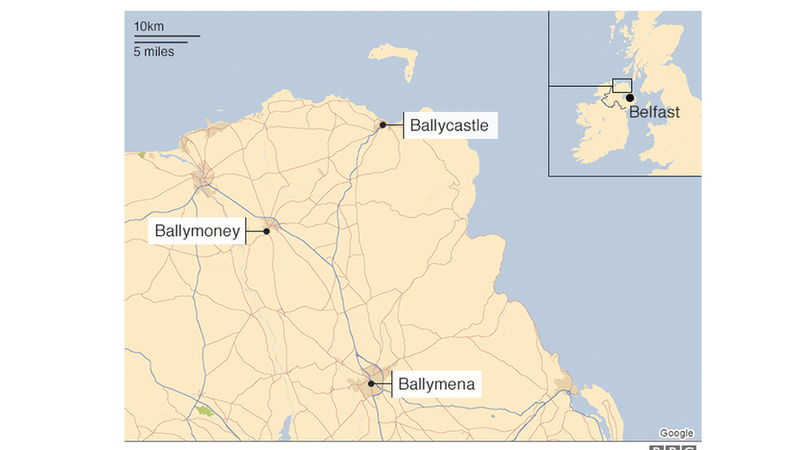 However the Nationalist vote could be very relevant, if they switched their votes to an alternative Unionist candidate, or to a possible alternative DUP candidate, as a protest vote,... and the really big question is,... do the Unionist constituency electorate really prefer him personally,... or is it really any DUP candidate that they prefer. ?! Here's what Jim Allister thinks. What is his public record as a constituency M.P.. ? Do the pro Unionists,... or even the pro DUP Unionist members of the electorate in his constituency really know the answer to that,... or do they even care. ?! Perhaps Mr. Paisley's constituents will take his own advice when they vote about him,... if there is a by election. This Belfast born journalist believes that it's almost certain that there will be a by election,... and as he points out, the situation isn't only relevant to Mr. Paisley or his Party,... or even only to Ulster. Looks like that's done and dusted, then. How long is the petition open ? from 09:00-17:00 BST, Monday to Friday. Opening hours at the designated centres will be extended to 21:00 on 6 and 13 September. Who can sign it ? 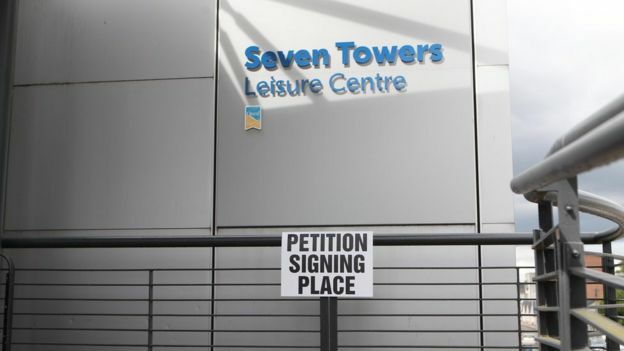 Letters have already been sent to constituents informing them about the details of the petition. Anyone wanting to sign it must live in the North Antrim constituency and be 18 years old, or have their 18th birthday before the end of the signing period on 19 September. My note,... actually that's wrong,... signatories don't have to be 18,... they have to be 18 or older. But just like in any normal election, anyone wanting to sign it must also be registered to vote in parliamentary elections. What happens when the petition closes ? If the number of signatures reaches or surpasses 7,543 it will trigger a by-election and Mr Paisley will lose his seat. Where can the petition be signed ? "A specially invited crowd of supporters...."
Why doesn't he just resign, force a by-election, win and take his seat again, thus avoiding any suspension ? Well,... at least he knew that he was supposed to attend,... and he remembered to attend. BTW,... it's particularly curious that whilst he forgot to declare two holidays,... he did remember to declare an unaccompanied holiday in the same country. How strange that despite all the 'hoo haa', 10% of the constituency electorate, could not be mustered. Page created in 0.267 seconds with 17 queries.